Whatever you’re looking for—hair of the dog, a kick without the caffeine or an extra dose of veggies—the Bloody Mary reigns supreme at the brunch table. Some Boston spots give you a little more leeway with an array of spices, sauces and things to stick in to customize your cocktail. With tableside carts and DIY bars, you can concoct your own morning restorative…for whatever it is that ails you. Abby Park kicks brunch up a notch with their new, irresistible Bloody Mary bar. 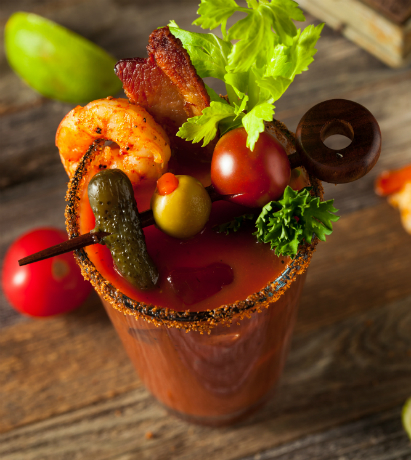 Concoct your beverage any way you like with ingredients like celery, bacon, hot sauce, horseradish, olives and of course - fresh jumbo shrimp. 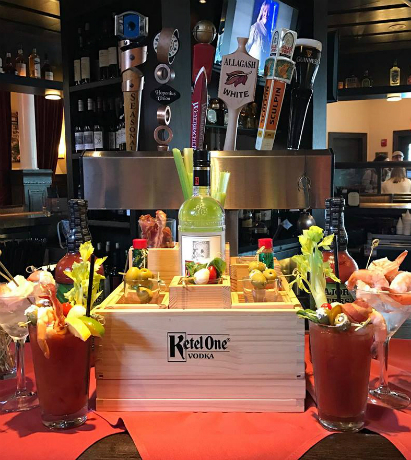 Bostonia Public House takes a no-holds-barred to the Bloody Mary with a garnish table that goes above and beyond. 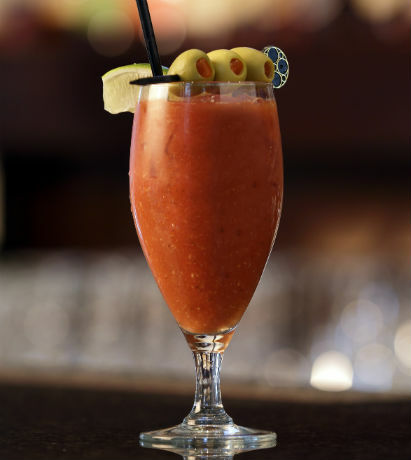 Start with vodka or tequila and the housemade Bloody mix—then go to town. 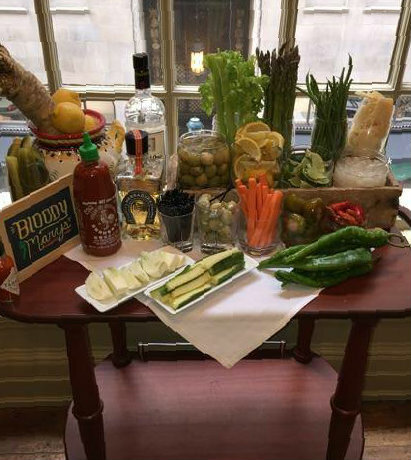 Let your tastebuds run wild with Clink’s make-your-own Bloody Mary bar. 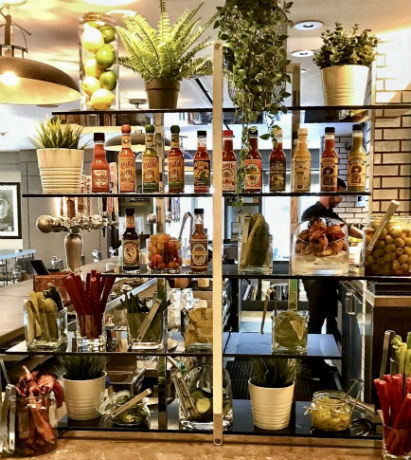 The Hotel’s head bartender provides the base mix (with a secret ingredient) to which you can add over 30 kinds of hot sauce, artisanal salts and all manner of garnishes — like pickles, cheeses and more. Chef Jason Heard heralds in a new age of Bloody Mary bars with Coppersmith's over-the-top offerings: six choices of vodka, an array of pickles, and peppery hot sauces so you can craft your own signature cocktail. 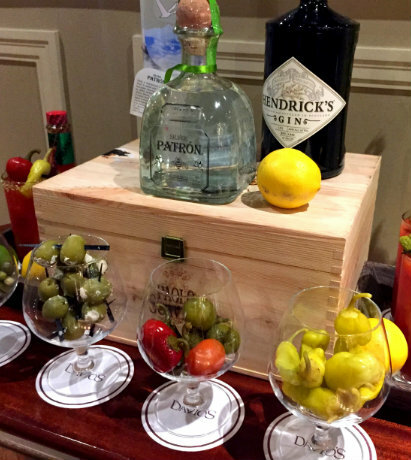 Dive into your brunch beverage with Davio's Make Your Own Bloody Mary cart. They'll bring the spirits, toppings and spices tableside with Italian-leaning additions like sopressata skewers, prosciutto-wrapped asparagus, gorgonzola-stuffed olives and more. 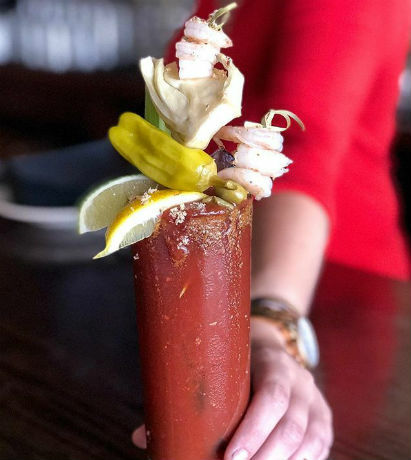 The suburban outpost of Davio's gets in on the Bloody Mary offerings with a cart of options: from gin, vodka or tequila to cherry peppers, jalapenos and chili lime salt, plus an array of Italian-esque additions. 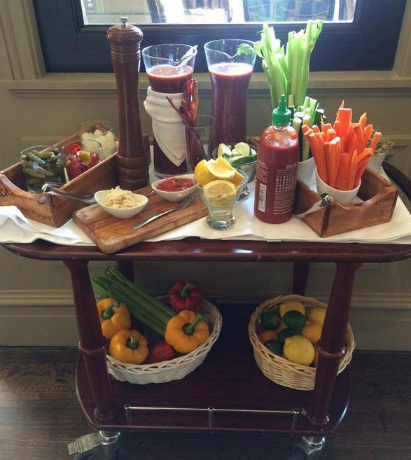 Make the most of brunch with Davio's Bloody Mary cart featuring your choice of vodka, tequila or gin. Plenty of fixings like vegetables, spices and bacon are ready to customize the classic cocktail any way you desire. 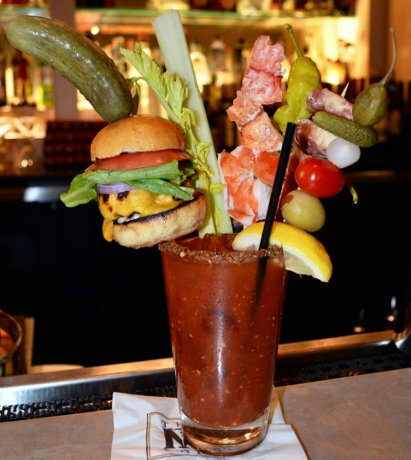 Spice up your day with Davio's famous Bloody Mary cart. 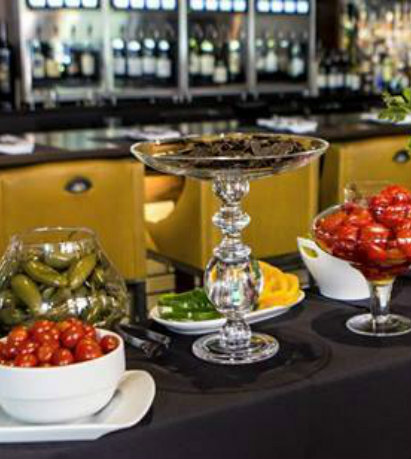 The tableside service offers two kinds of housemade bloody mix along with garnishes like horseradish, pickled olives, lemon and more to satisfy all of your brunch cravings. Take your Sunday cocktail crafting into your own hands at Island Creek Oyster Bar Burlington, where they’ve added a DIY element to their brunch offerings. Choose your base (Classic, Hail Caesar which has a dash of clam juice, and Longport Calling, a combination of mango, coconut, tomato and curry). Select your spirit (vodka, dark rum or mezcal). Last, but not least, pick your garnishes like oysters (obviously), half lobster tails, candied bacon and deviled eggs. Met Back Bay's Crafty Mary menu goes down in the brunch hall of fame for fitting a burger into the beverage offerings. You can check off your ingredients according to your whim, whether that's brown spirits or clear, oysters, sour pickles or a mini cheeseburger. 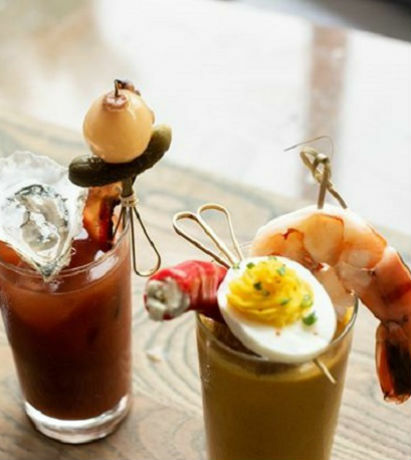 Brunchers can adorn their Bloody Marys with all manner of (edible) accoutrements from the DIY bar at Precinct Kitchen & Drinks. Among the offerings: celery for crunch, bacon for saltiness, pickles and peppers (and pickled peppers) for piquancy and lots of hot sauce for a dash (or two) of heat. 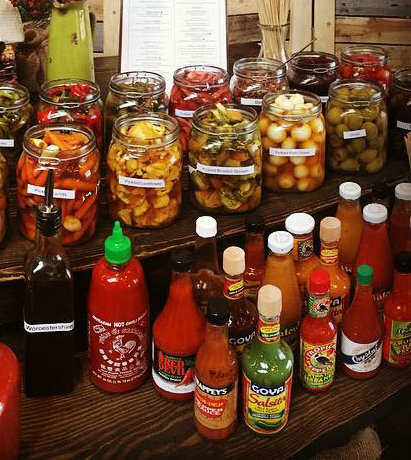 With goodies like olives, shrimp and spicy peppers, you can go nuts at Rail Trail Flatbead Co.'s Craft your Own Bloody Mary. Take a spin out to Hudson and show off your stacking skills.